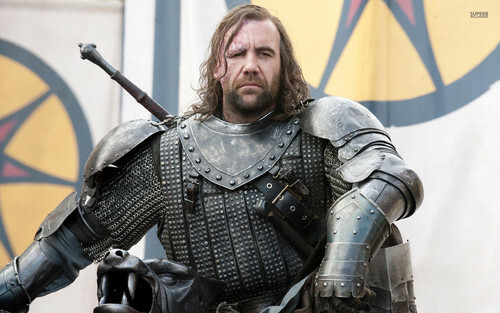 The Hound. . HD Wallpaper and background images in the Game of Thrones club tagged: photo wallpapers game of thrones the hound rory mccann arya stark. This Game of Thrones wallpaper contains سینہ, تتواودان, egis, سینہ بند, زیر سرپرستی, ایگاس, کوچ پلیٹ, کوچ چڑھانا, پلیٹ کوچ, زرہ بکتر پلیٹ, کوچ پلاٹنگ, پلیٹ زرہ بکتر, fauld, and فاولڈ. There might also be brigandine, بریگندینی, armet, and آرمیٹ.